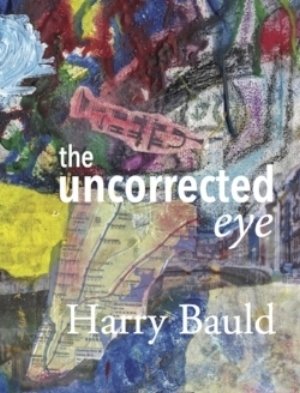 "What is the 'uncorrected eye' that Harry Bauld celebrates? This uncorrected eye, he writes, reveals a world that 'brims, marbles, quivers / over its boundaries, wells.' And that is what his poems do. From his jazz-like improvisations to the whip-like turns in his sonnets, from his 'magic cloud of memory” to the “limping lion of history,' Bauld presents us with a world we thought we knew well. Now, in these beautifully crafted poems, we feel as though we are meeting it for the first time." Wednesday, March 13 8:30 pm at An Beal Bocht 445 West 238th Street, Riverdale, Bronx, NY Phone: (718) 884-7127. Harry and poet Sarah Stern are presented by the Poor Mouth Reading Series. Sarah Stern is the author of We Have Been Lucky In The Midst of Misfortune (Kelsay Books, Aldrich Press, 2018). She was nominated for a Pushcart Prize in 2018 and is a five-time winner of the Bronx Council on the Arts’ BRIO Award for Poetry. Stern is a Communications Specialist and a member of PEN America. Wednesday, November 14 6:00 pm at the Columbia University Alumni Center. He will read from his new book, The Uncorrected Eye, alongside poets and Columbia alums Elizabeth Straus (Harry’s daughter) and Kimberly Traube (Harry’s colleague at Horace Mann School.) Tickets are $10 (that and $5 more gets you a signed and inscribed copy of the book); snacks and wine reception follow. Harry Bauld was twice first-team All-Ivy League shortstop at Columbia University. As a freelance journalist he has written articles about sports, the arts, wine, and other topics for various magazines. His poems have won the New Millennium Writings Award and the Milton Kessler Poetry Prize, and appeared in Nimrod, Southern Poetry Review, and Passager (Issue 49) among others. He currently holds the Kulik Chair in English at Horace Mann School in New York.